ROSEMARY’S EXPLORATION: Survive or Thrive? To merely survive is not the same as to thrive. The Universe is set up so that each individual can thrive unless that opportunity is taken away from them. Every plant is poised to thrive unless it is deprived of soil, nutrients, sunlight, water. Every animal has the tools it needs when its natural habitat is allowed to thrive. Human beings have been able to thrive on Planet Earth until the population has reached billions. Some might argue that earlier peoples did not thrive and were wiped out. While it is true that some populations are no longer on the Planet, all who have lived as a part of a tribe have had an opportunity. Some groups are no longer on the Planet because others conquered and destroyed them. Some were deprived of light or sustenance because of natural disasters. In modern times, greed of one sort or another has resulted in huge numbers of deaths. War comes about because of greed, for power or money or territory. Governments who suppress the power of the people are greedy for power and control and, often, riches. Those who can kill others easily do it out of a sense of superiority over others and are greedy for a position of pride. Many people on Earth in 21st Century Societies are greedy for what they don’t have – riches, power, control, freedom, pride. These people are distracted from what is really important. When one seeks to live one’s purpose, one finds that collaboration with others supports thriving in life. For some people struggling with survival, they have been put into that position as a direct result of some other person or people and greed. Homelessness is not the natural state. Even in Nature, orphaned babies of one species are often taken in and raised by a mother of another species. Humans are meant to be communal and to support each other but, when greed gets in the way, people can end up struggling to survive. Don’t think that you can thrive by pushing someone else to the brink of survival. Those who believe that this is acceptable will learn exactly what the rules of karma are. And if you are surviving then it is your work to live your purpose and thrive. Make the choice to thrive and all other choices become clear. The Divine Feminine guide us into position so that we can take an honest look at the life we are leading, especially as it relates to living our purpose, the reason we incarnated on Planet Earth at this time. We were meant to thrive! There are so many ways to merely survive – physically, mentally, emotionally, spiritually. And, yet, we are conscious beings who have the ability to create our world with our thoughts. What if we become ‘Conscious Creators’ and focus our intentions on thriving? What if we decide that it is important to help others not only to survive but to thrive? Can you imagine the energy that is generated when that becomes the focus of our thoughts and behaviors? Thrive because you have found your purpose. Set your sights beyond mere survival and Live Your Richest Life. Many of my clients are doing ‘okay’ in their life but they feel that there is something more, something calling to them. A book to write, a program to start, a foundation to create, a new product to develop. For some it is the search for peace within so that they are free to live the purpose they know they were born to manifest. Mere survival is not what drives them to thrive! Reaching for the higher purpose brings a joy, a peace, an excitement that creates a beautiful energy in which to thrive! Accept that the Universe will help you to survive and jump on the bandwagon to thrive! 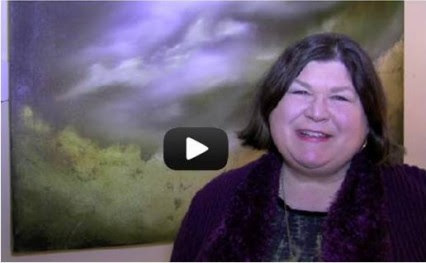 Rosemary’s “Two-Minute” Video for this Week: Surviving or Thriving?